Held each month on the 3rd Tuesday, this popular on-going event series has resulted in countless connections being made. Be a part of this monthly networking, lead generating business referral opportunity! We’ll be passing the mic so you can share a brief summary of your business and connect with others in the Livingston County community. Please bring your business cards and any other marketing materials that you would like. The event is free and open to our members. Registration is not required but is encouraged. Visit our event calendar to register. Held in March, this premiere event offers our Chamber members the opportunity to connect with engaged couples seeking to meet local wedding vendors. This exciting day offers the chance to plan the wedding dreams are made of with the help and talents of our amazing vendors from the local area. This year's event will take place on Sunday, May 3rd at Willow Creek Event Venue in Lakeville, NY. To learn more, click here. Held in the spring, this annual event attracts nearly 400 people and celebrates agriculture - Livingston County's #1 industry. Sponsors have the opportunity to set up a business display to enhance your marketing exposure to attendees. In addition to the celebration, Farm Bureau and the Chamber present the Farm of the Year Award. This year's event will take place on Friday, March 30th at the Genesee River Restaurant and Reception Center in Mt. Morris. The Taste of Livingston event showcases local signature dishes featuring Livingston County restaurants and eateries. The Chamber partners with The Arc of Livingston-Wyoming for this annual culinary tradition. The event typically sells out hosting over 400 individuals and featuring local restaurants, caterers, breweries, wineries, and eateries. This year's event will take place on Tuesday, May 21st at Camp Stella Maris. Additional details will be coming soon! Each year, the Livingston County Education Alliance Golf Tournament creates an opportunity for members to network and make new contacts while enjoying a day of golf and raising scholarship funds for Livingston County high school graduates. 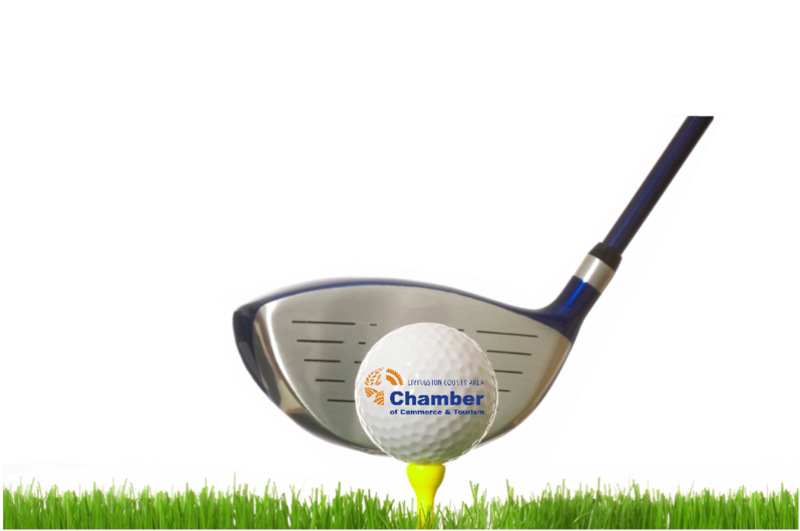 Our Golf Tournament gathers community leaders, business owners, and decision makers from Livingston and surrounding counties for a day on the greens. This year's event will take place on Friday, June 7th at the Caledonia Country Club. Additional details will be coming soon! The Chamber's Women's Summit continues to serve as a well attended and highly anticipated part of our signature events. The goal of the Women's Summit is to provide encouragement and educationally enriching programs that serve to motivate. Our Women's events provide the participants the opportunity to focus on their own personal and professional development while fostering an environment of creating connections among each other. Each year the Chamber honors 4 local business award winners in the categories of Large Business of the Year, Small Business of the Year, Downtown Business of the Year & Most Promising New Enterprise. The finale to our event series each year, the Holiday After Hours gathering features an informal gathering of Chamber members, local and county officials, business leaders and community members. The festive ambiance and holiday spirit encourage opportunities for business professionals to connect with one another while having fun in a relaxed environment. Attendees have the opportunity to win raffle prizes donated by various local businesses, serving as a wonderful finale to an entertaining evening. This year's event will take place on Thursday, December 7th at Valley Oak Event Center in Geneseo. Additional details will be coming soon!